Does Style Trump Substance in a Presentation or Media Interview? < Presenting Yourself and more . . . Does Style Trump Substance in a Presentation or Media Interview? Style or substance? Is it your style that will make you a memorable speaker? Or is substance more important in a presentation or media interview? There isn’t universal agreement, although both are essential qualities for leaders to express their authority and command of their topic. A speech is like eating a meal in a 5-star restaurant. The food must be nutritious and delicious — something the audience can chew on. That’s the substance. It’s just as important to have an attentive waiter, beautiful presentation of the food and ambiance. That’s the style. Most CEOs get to the top of their companies because of substance – they are the best at what they do. But when a CEO is speaking before a group of investors that are crucial to the company’s financial performance, then his style could be the dealmaker – or breaker. He needs to convey enthusiasm for his company with his voice, gestures and key messages that create a visual image in the minds of his audience while touching their emotions. To be successful, a speaker must be the subject matter authority. That’s a given. If the speaker doesn’t have a firm grasp on her subject, training will be of little value. Having coached hundreds of senior management executives for 30 years, we have seen that style can trump substance. Preparing a speech is a lot like building a house. You must start with a solid foundation: the substance. But a strong foundation is not, in itself, enough to entice anyone to live in a house. Substance alone is not sufficient to gain and hold the listener’s attention. Few people want to live in an empty home. Few people will listen to an empty talk. The beautiful furniture and decorations – the style — are what will entice people to visit and come away with a favorable impression. When speakers rely too much on content, giving little attention to their personal style, they might as well be talking to themselves. The audience is not getting the message. When you’re rehearsing for your next presentation, have someone video record you and then review the recording as if you were sitting in the audience. A strong opening? Did your opening statement grab the audience’s attention? A rhetorical question, an anecdote, a build-up of the facts or a quotation related to your theme is an effective way to begin. Direct eye contact? Did you make eye contact with the audience or were you gazing at the ceiling? Talk to one person until you complete your point or for about 15 seconds. Then move on and make eye contact with someone else. Be sure to “work the room” so that everyone in the audience feels included. Vocal energy and variety? Did you speak in short conversational sentences? Use punctuation as a natural breathing point. Highlight key words in your notes as a reminder to emphasize them. Gestures. Did your hands and body movements add to your message rather than distract the audience? Rest your hands at your sides or lightly on the lectern between gestures. Facial expression. Did your facial expression reflect the tone of your message? Don’t keep a smile plastered on your face throughout your talk, as you will look insincere. Fluency. Did your talk flow smoothly? Did you avoid non-words such as“um”, “uh”, or “you know”? Substitute pauses for the non-words. Visuals. Did you create visual images with words to help the audience retain your messages? Did you keep the content on each slide to a minimum with one key thought? Appropriate language. Did you avoid jargon, “inside” jokes and off color language? Knowledge of audience. Did you address the needs of the audience rather than telling them only what you wanted them to hear? Did you stay within the time limit and close before you lost their attention? Strong closing. Did you provide a summary of the most important points? Did you challenge the audience to take action? Did you end on a positive note? Our answer to the question “style vs. substance?” is that it is the speaker who makes the speech memorable – not the substance. If your spokesperson is not a subject authority, find a new spokesperson. 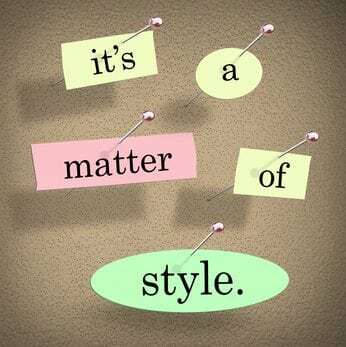 A presentation or media coach can help a spokesperson to enhance his personal style. The coach should not have to give the speaker the substance, or the food for the audience to chew on.